Guess and Republic Records Unite to Create New Platform Guess Music – StyleFT- Style.Fashion.Trend - News, Celebrities, Lifestyle, Beauty & Entertainment - The global style direction. Guess has officially partnered with Republic Records to create their new music venue, Guess Music. The Guess company has released a statement about the new venture, saying Guess music is a high energy platform that will blend the world of music and fashion in a new inventive way. The President of the Republic Records Label Group Charlie Walk commented that he got on board with the project after talking with Paul Marciano of Guess and had a long discussion about how music and fashion drive each other in the entertainment world. Walk also commented that both him and Marciano also wanted to create Guess Music as a platform that could promote not only the big artists under the Republic Records label, but to help promote the next generation of music idols. The new music venture, Walk stated, is going to create more opportunities for their fans to discover new music and fashion together all across the globe. Republic Records is known for carrying popular music artists like Ariana Grande, Drake, The Weeknd, DNCE, and Nicki Minaj. With Grande’s new music video “Side to Side”, she displayed Republic Records new partnership with Guess by displaying some of Guess’s new collection merchandise. Republic Records and Guess also plan in the future to launch a dedicated site where up and coming music artists can submit demos for the music label. Paul Marciano, the co-founder and chief creative officer for Guess has also planned to incorporate Instagram in their search for new music artists. 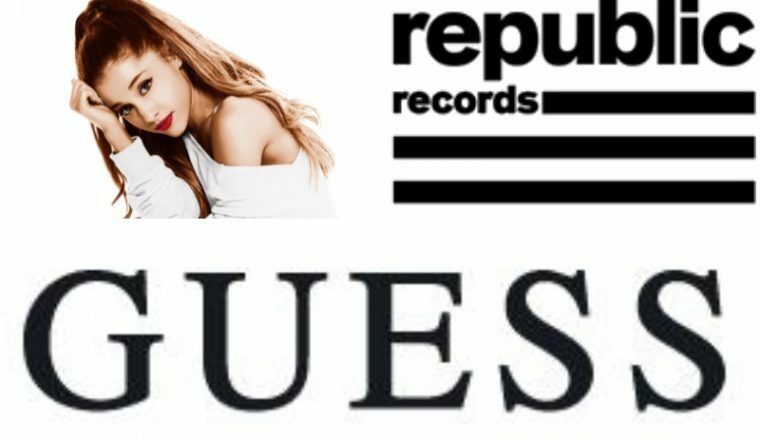 Marciano has also commented that Guess will not act as a fellow agent or management company for Republic Records, but will recommend talent to the music label. The Guess creative officer has also raved about the company’s recent success with their collaboration with A$AP Rocky, who helped promote their new capsule collections early this year. He commented that Guess stores in London, Miami, Tokyo, Miami, Beverly Hills, and New York were completely packed because of the music star’s promotion and the company hasn’t seen this much excitement for their new collections in years. Both Guess and Republic Records haven’t discussed the new financial terms for Guess Music venue, but both companies are hoping their new platform will bring in more music and fashion lovers. Enjoys expensive fashion...at a discount. Five foot four young adult who loves all types of music: from pop to death metal. I still fall for the common cliché plot twists of a romance novel and love it. I am an avid doll collector and play the viola when no one is watching. Sadly my least favorite things are exercising and dieting; yet my New Year's resolution this year was to give up sugar. My stubborn determination to keep my word has changed my favorite drink from Pepsi to unsweet tea. If I’m not writing, I am either spending my time petting my cat Toby or watching all CW shows.